Sign in & pay child care bill online. Contact the program director at (616) 254-6828 or via email with any questions about Treehouse or Treehouse job opportunities. Winner: Top 10 Favorite Daycare in West Michigan! 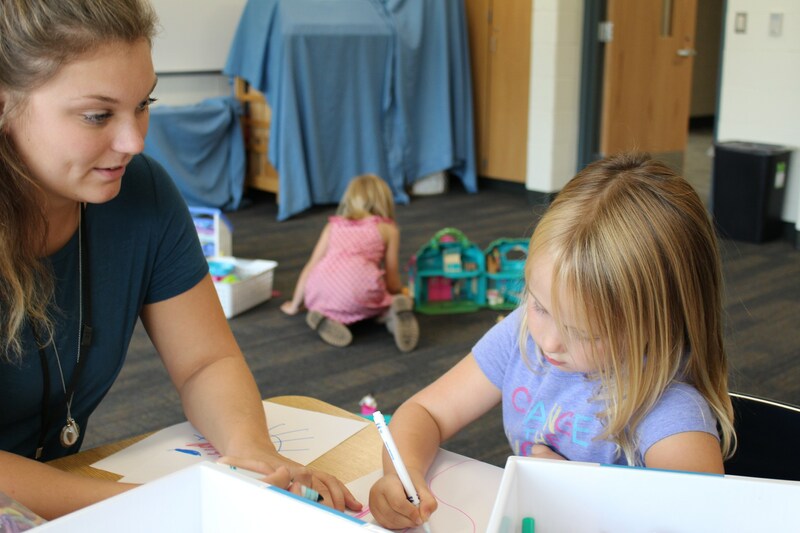 Treehouse is a licensed child care center, located within Grandville Public Schools, that provides a safe, nurturing and fun environment for children ages 3 to 12 years. 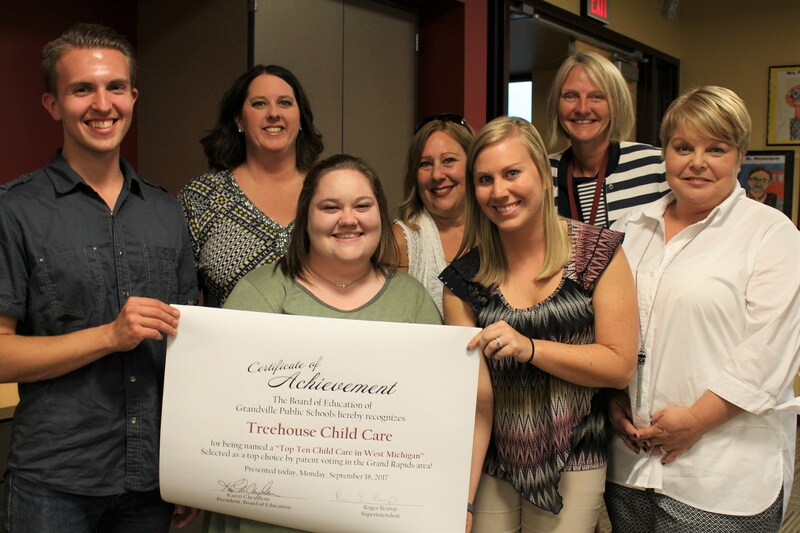 Treehouse staff members have been carefully screened and selected for their love of children, ability to guide and model positive behaviors, and enthusiasm to interact with children on a daily basis. We're proud that our All-Day Care program for ages 3 to 5 is star-rated through the Great Start to Quality Kent Resource Center. In 2017, we were named a Top 10 Favorite Daycare Center by GR Kids. 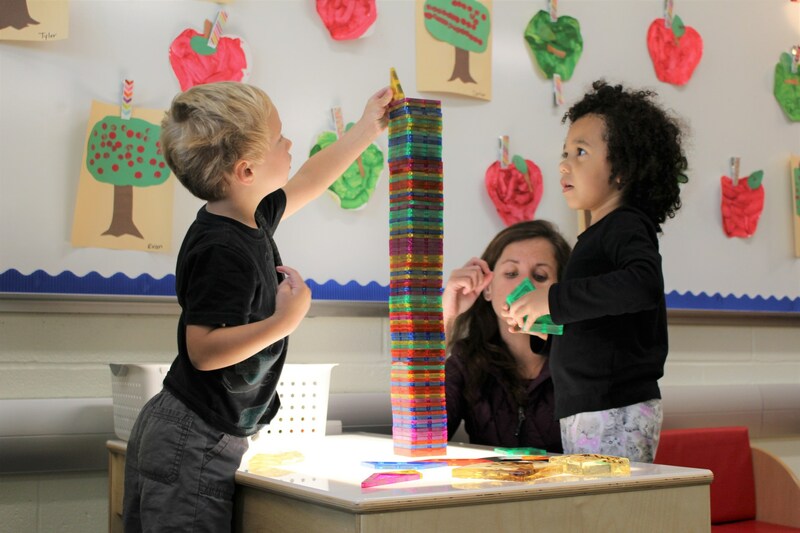 Treehouse implements a theme-based, educational program for preschoolers that focuses on letters, numbers, colors and shapes. Daily activities include crafts, math, music, literature, large and small motor activities, and indoor and outdoor play. During the school year, there is a relaxed program for children in grades K-6. They can do their homework, play with their friends, play in the gym or outdoors, and participate in organized activities. The summer program includes fun activities for all ages and field trips for school-age children two or three times per week. Contact the buildings at the numbers below to enroll. This location serves children ages 3 to 6 years old, as well as Century Park students before & after school. This location serves children ages 3 to 6 years old, as well as Central Elementary, Cummings Elementary and West Elementary students before & after school. This location serves Grand View Elementary students before & after school. This location serves South Elementary and East Elementary students before & after school. Grandville Public Schools will transport from all of its elementary school locations. *Treehouse reserves the right to close in case of power loss or heat loss. If extreme severe weather forces the center to close, it will be announced on WOOD, WZZM and FOX 17. New option for currently enrolled families: Drop-in Before or After School for $20/drop-in (for regular, full day, school days).